Hi Blog friends, The card I have for you today is for two challenges. 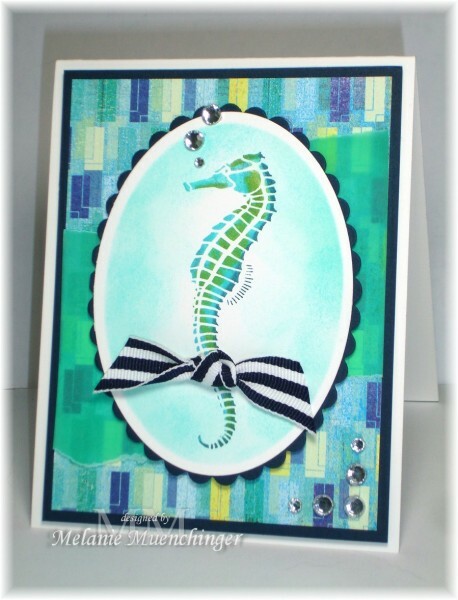 The first one is for a challenge over at Stamp TV to Case the DT member Melanie Muechinger. She is super talented and it was very difficult to make a selection, but I finally did! My card doesn’t exactly look like hers…but it sparked my sponging idea. I combined that challenge with a Sketch Challenge over at Freshly Made Sketches, but unfortunatley missed the deadline and the collection is closed….4#&$&@$$$ insert whatever word you would like there! Tee hee! Oh well, it happens! I have been working quite a bit with sponging techniques lately and I do enjoy it very much. The smile and the image stamp I bought at Hobby Lobby. As always I so appreciate when you stop in an leave your comments! 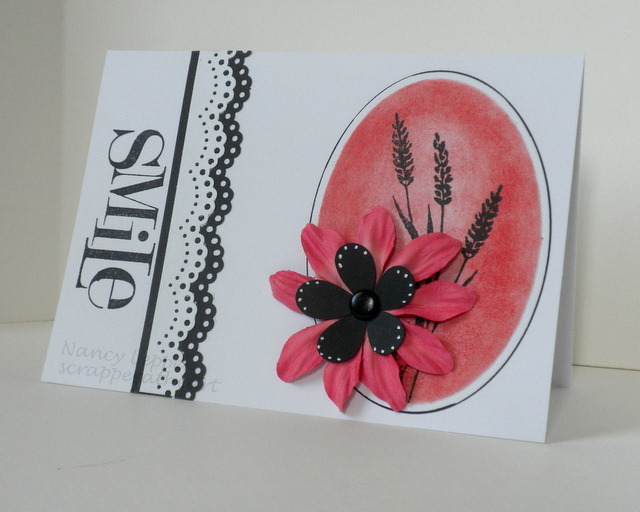 Categories: Cards, challenges | Tags: Card making, Cards, rubber stamps, sketches, smile, Stamp TV Challenge | Permalink.